July fishing was over the top amazing. 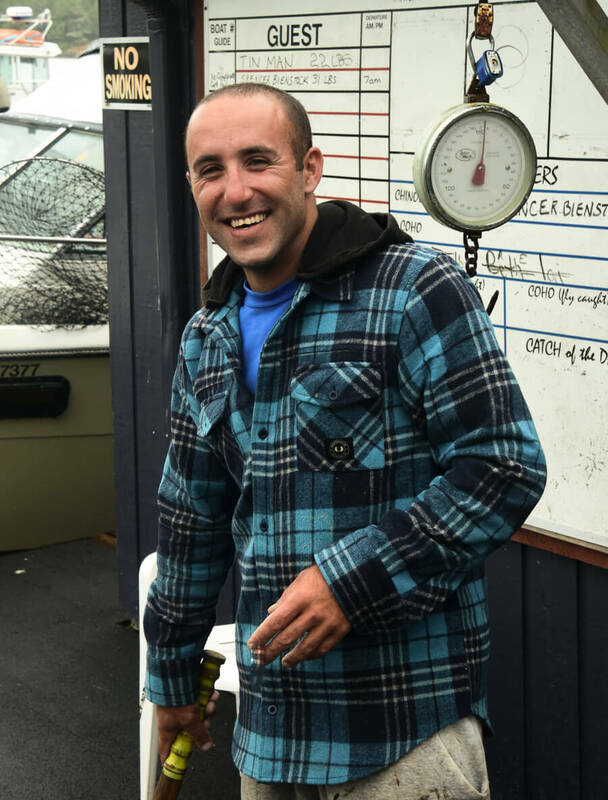 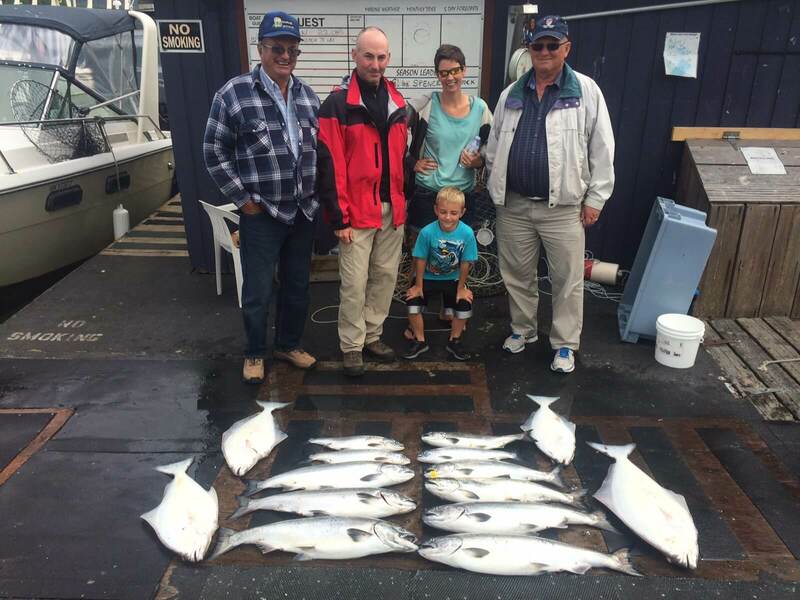 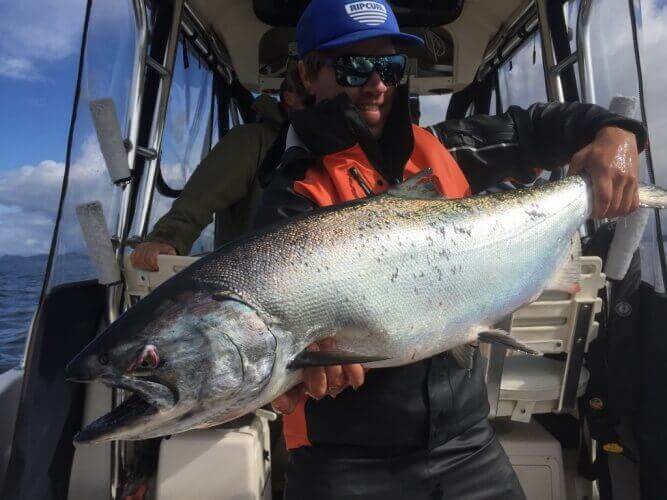 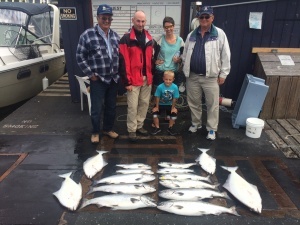 We’ve been getting consistent action from both large salmon and halibut, and almost every guest has left with sore arms, full freezers and big smiles. 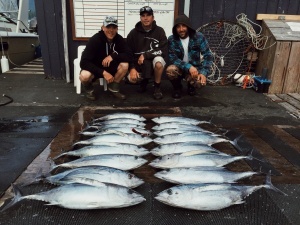 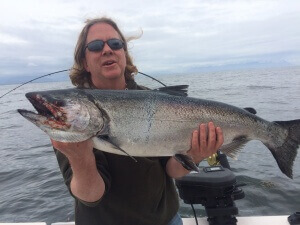 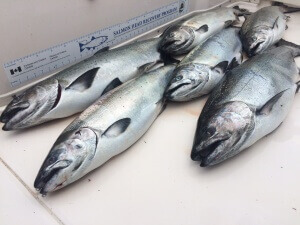 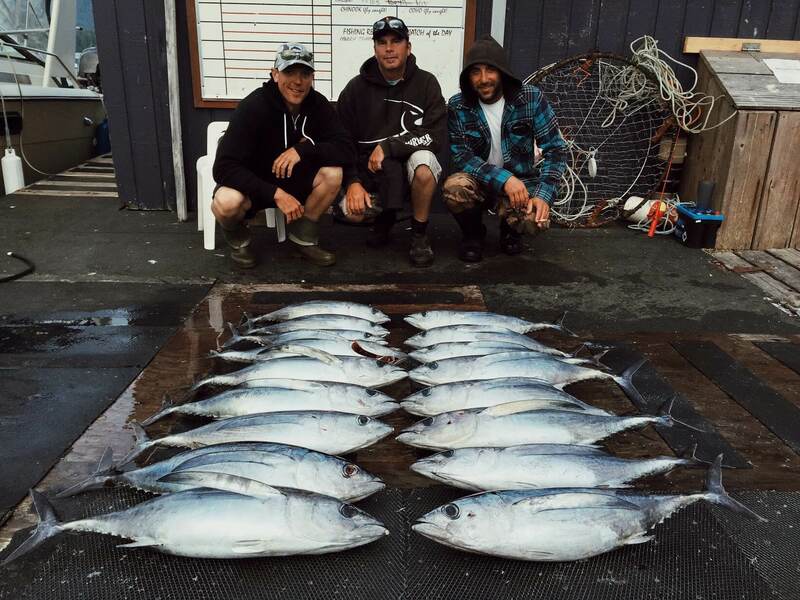 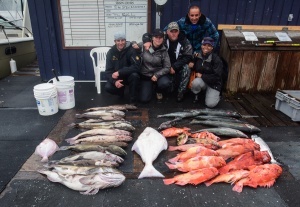 So to sum it up, the July Fishing Report for Tofino is outstanding. 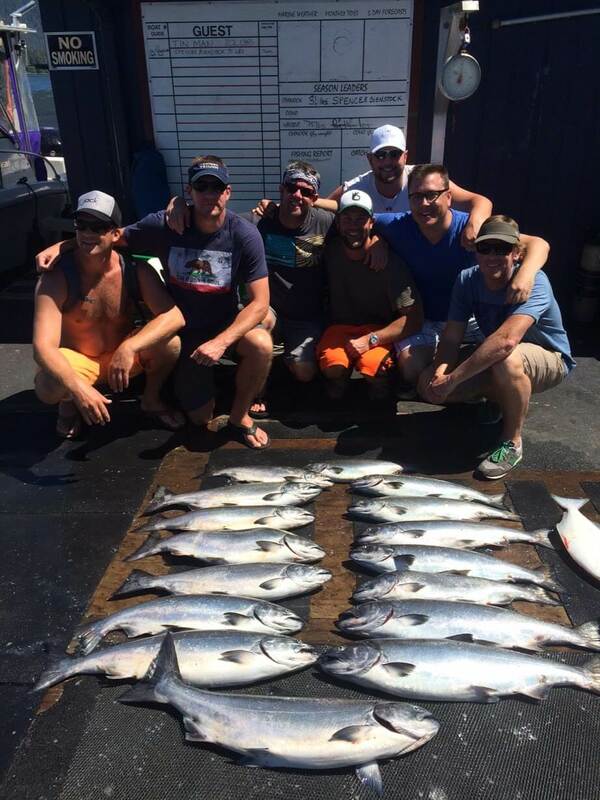 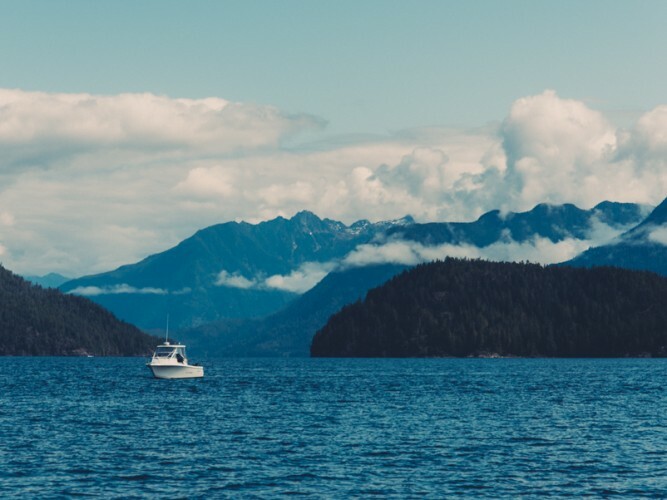 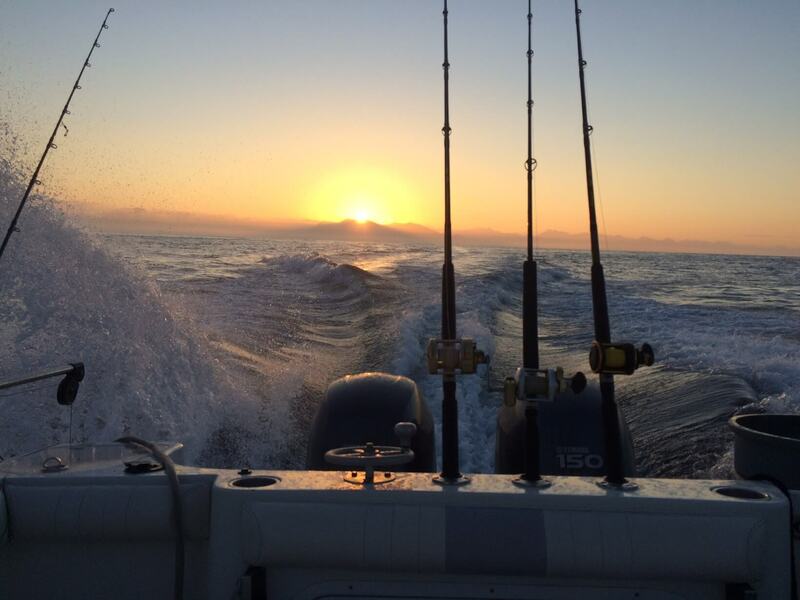 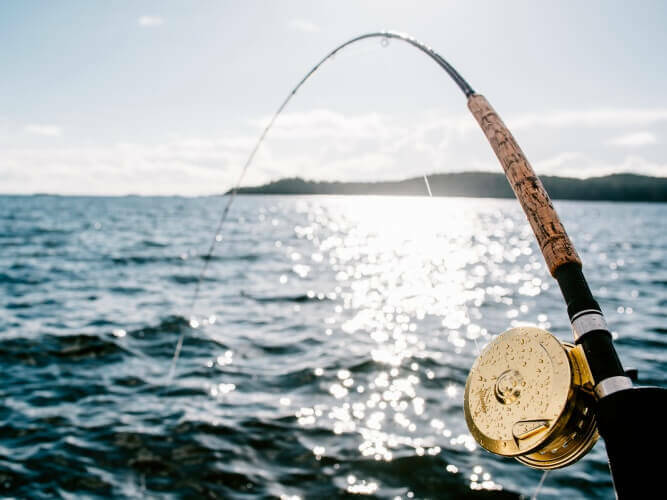 We guarantee that anyone with an upcoming booking should expect to have a great time on the water. 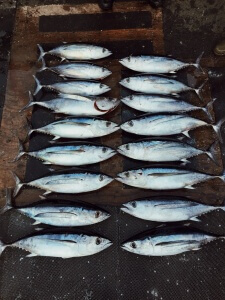 This past week we had a blue moon opportunity to venture out almost 85km off shore and fish for tuna. 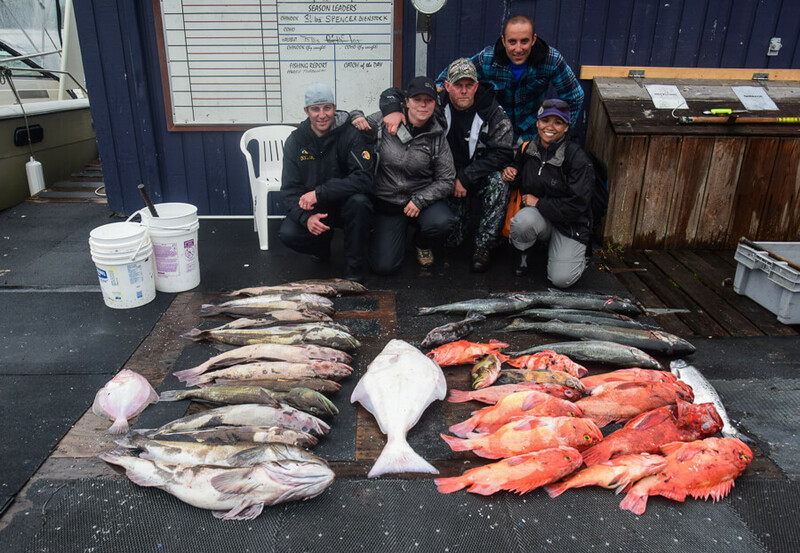 The 2 hour run out to the fishing grounds is well worth it as soon as you hook into one of the hardest fishing in the ocean. 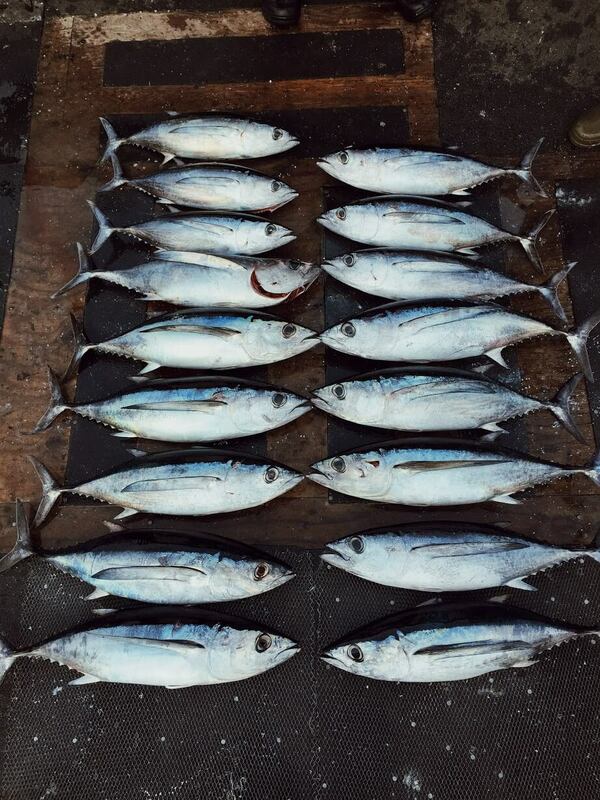 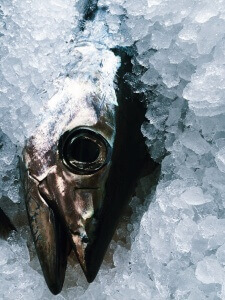 The adventure in itself was amazing with a shark sighting and beautiful blue water, but coming back with 17 decently sized Albacore on ice was a good feeling. 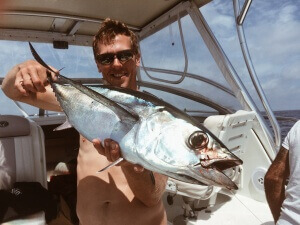 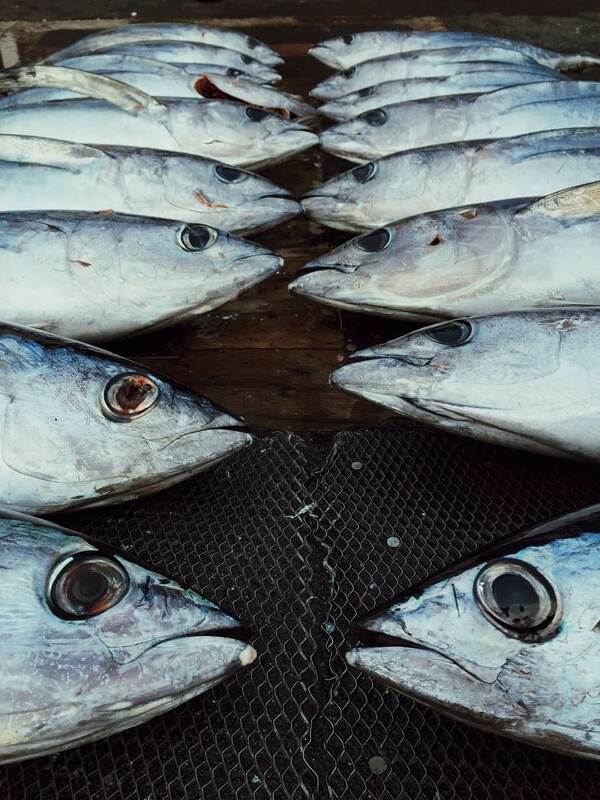 If you’re interested in a tuna fishing trip sometime this year, please get in touch via our Contact Form. 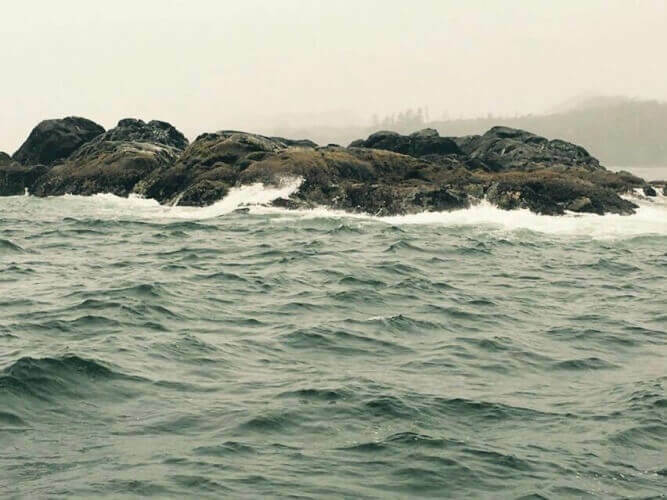 We’d be happy to fit you in as soon as the conditions are ideal. 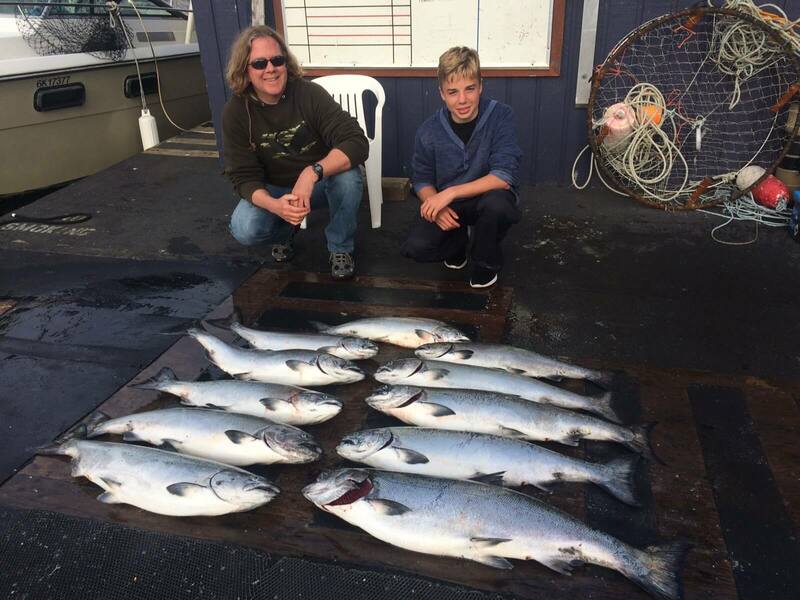 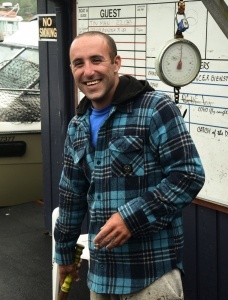 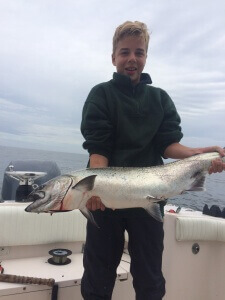 Lots of smiles and beautiful chinook salmon all around.